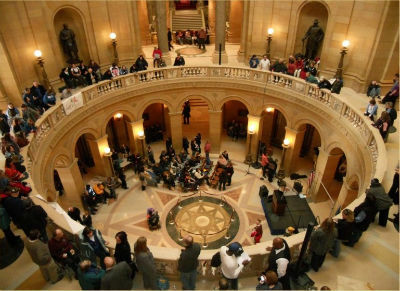 MBW Company employees and clients frequently attended Day at the Capital to advocate for individuals with disabilities and for those who support them. During a recent event, they got the opportunity to meet our legislators such as Senator Gary Dahms and Representative Paul Torkelson. Our company makes it a priority to actively advocate for community-based services. We work closely with ARRM and other advocacy organizations. Want to join us on the hill? Here are some upcoming events to consider participating in.